We place the utmost emphasis on risk reduction and have an impeccable record of health and safety and operational management. This applies across the board to employees, sub contractors and clients. Our committed team will work with you and will ensure you get a service tailored to your needs. Find out about our team members here. Our aim is to achieve 100% customer satisfaction. 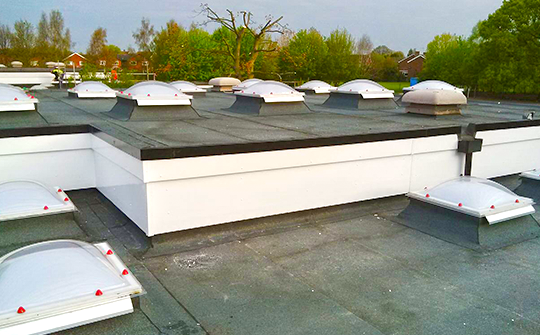 That’s why all our clients – big or small – receive the same outstanding level of service across the board and why we have become the roofing company of choice for many, regularly winning repeat business. We are very pleased with the outcome of the work. Working with Apex roofing was really simple, straight forward and I would go straight to them with any future requirements.